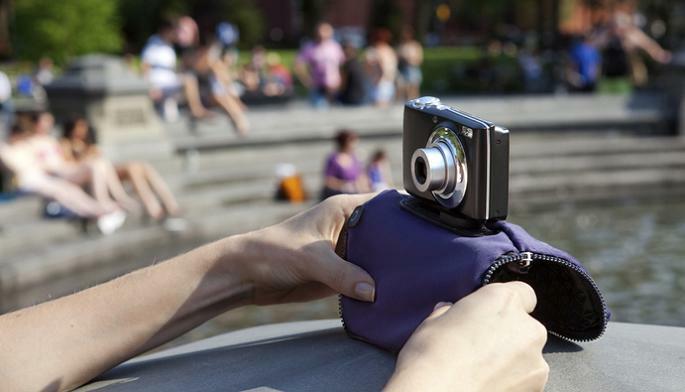 A collection of cool, useful and functional products and gadgets designed for photographers. 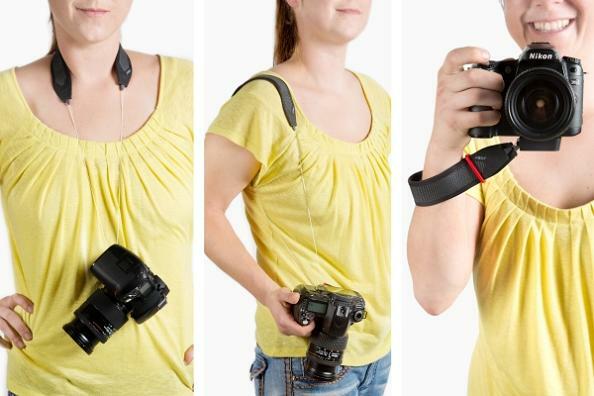 Camera Clip System: It's a camera holster for your bag strap or belt. 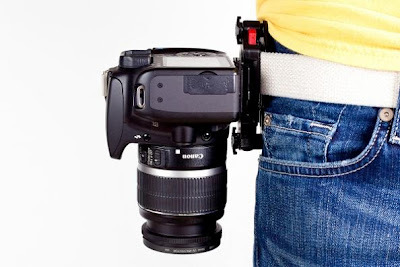 This heavyduty aluminum clip attaches your camera to a bag strap or belt. 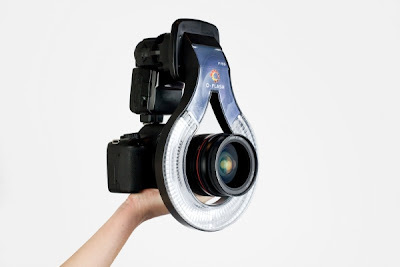 Ring Flash Adapter: The Ring Flash Adapter is a reflective circle that attaches to the front of your external flash and turns your regular old external flash into a pro-style ring flash. The Bokeh Kit: These filters turn your night photography into truly unique light-scapes; the kit comes with 21 pre-cut shapes, a holster to attach them to your lens. 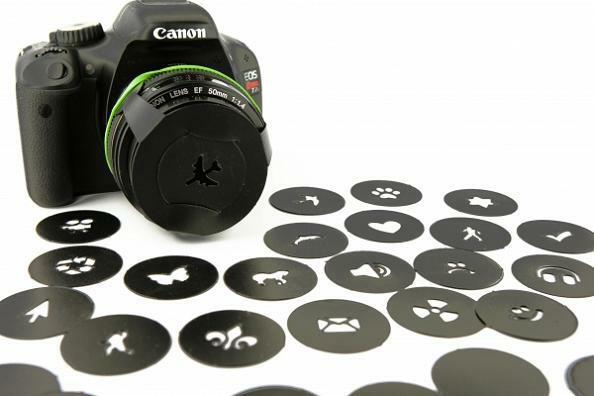 Pinhole Lens: Simply attach this lens to your camera body for a lo-fi pinhole effect. 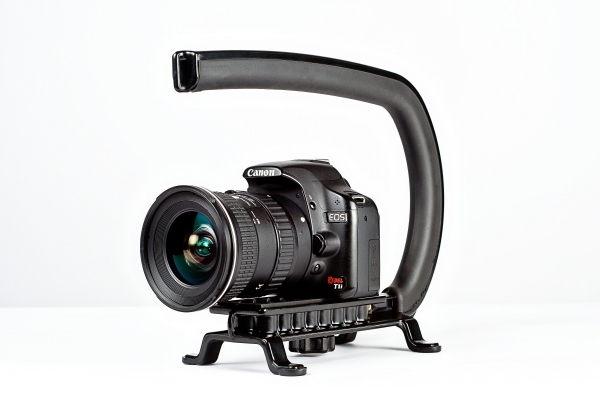 Camera Cinch: Its flexible, stable, and versatile camera strap for your SLR. It lets you move your camera off one shoulder or across your torso and ready to lift to your eye at a moment's notice. 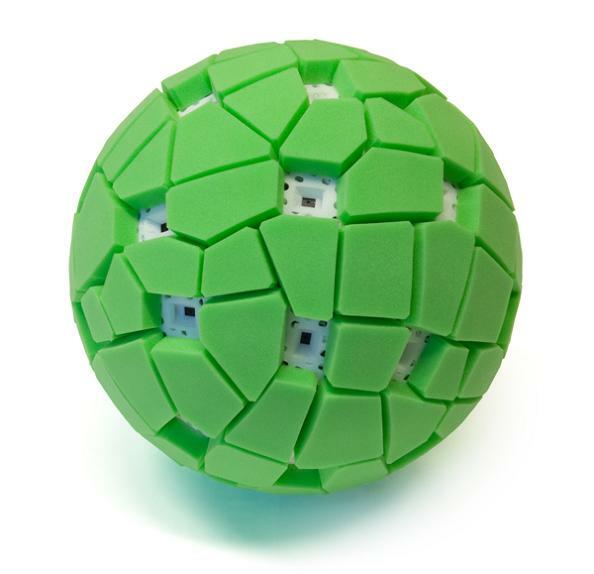 Panoramic Ball Camera: The Throwable Panoramic Ball Camera uses 36 mobile phone camera modules to simultaneously take a picture at the peak of its flight resulting in a beautiful 360° panoramic image. Transparent Camera Bag: The clear bag from Japan allows you to take photos without taking out the camera and protect your camera from water. 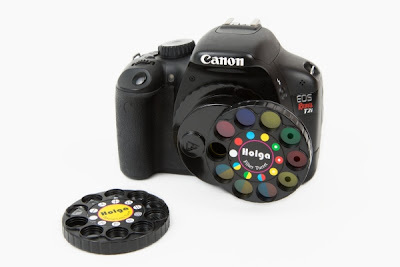 The DSLR Wheel of Filters: The Holga lens comes with built-in filters and prisms; the filter wheel can be placed on to your DSLR quickly and easily. 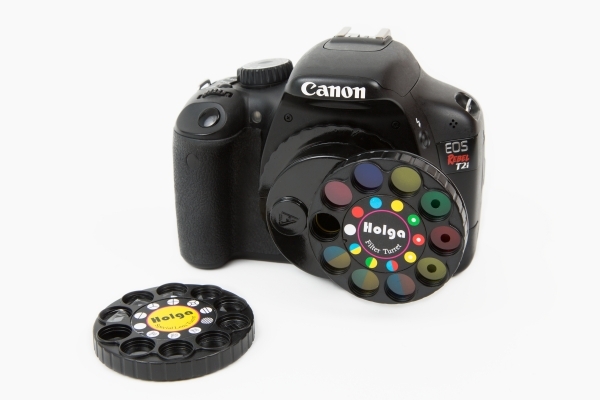 It consists of nine color effects and nine different prisms and macro lenses. 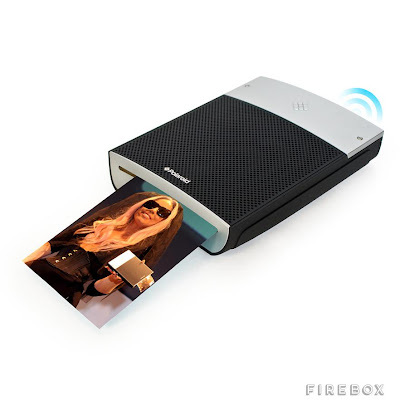 All you need to do is turn the wheel to change the effect. Three Way Camera Strap: You can use it as a neck, shoulder, or wrist strap; comes with comfy padded band and locks to any length at the touch of a button. 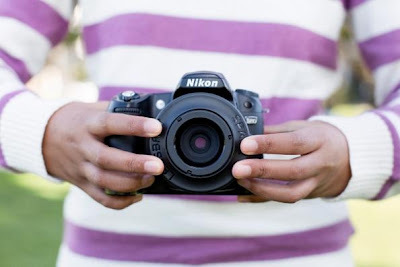 The Lensbaby Spark: The tilt-shift lenses can be used for all sorts of fun effects. Its a fun and affordable tilt-shift lens for your DSLR that flexes and bends. 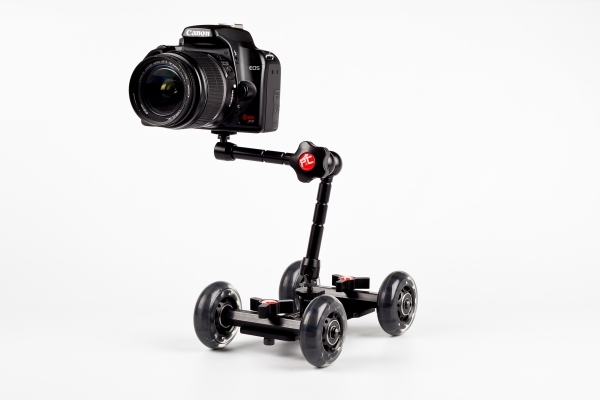 Camera Table Dolly: It's a smooth and sturdy dolly for pro-style video panning. 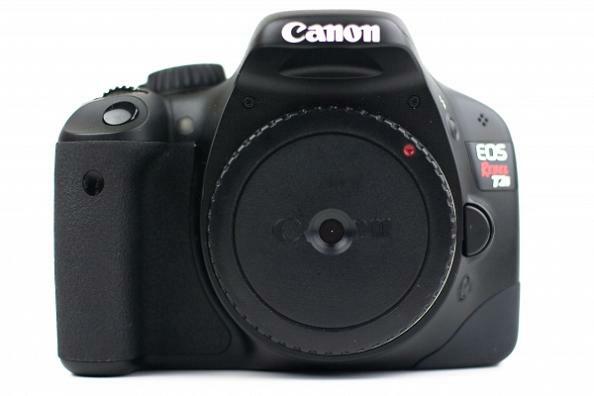 Don't miss to check out "Creative Products and Functional Gadgets for Photographers - Part: 1| 2." 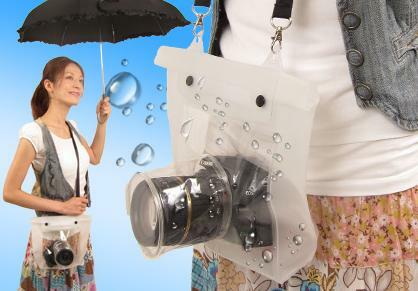 15 Unusual Tea Infusers and Creative Tea Infuser Designs.